WAM ABU DHABI, 31st July, 2013 (WAM) — Abu Dhabi Islamic Bank (ADIB) has been awarded the Dubai Chamber of Commerce ‘&’ Industry’s Corporate Social Responsibility Label in recognition of its commitment to CSR and sustainability The accolade was presented by Hamad Buamim, Director-General, DCCI, to Abdul Rahman Abdullah, Head of Strategic Clients Group at ADIB, during a ceremony hosted by the Dubai Chamber of Commerce and Industry. 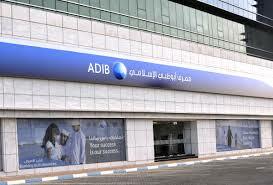 Tirad Al Mahmoud, Chief Executive Officer of ADIB, said, “CSR is a key element of ADIB’s values and culture and we are very keen to remain socially responsible in every aspect of our business. We are proud to be recognized for our efforts and commitment towards being a responsible and accountable institution.” “The Dubai Chamber CSR Label reaffirms our uncompromising commitment to responsible and ethical business practices, and we will continue to work hard to understand and respond to our community’s needs,” he added. The bank’s strong commitment to responsible business practice is reflected in all its activities – from allocating a percentage from its yearly net profit for CSR, to the unmatched financial education campaign and �SmartMoney’ financial booklet, to the launch of the UAE’s first “Future Champion” league, encouraging young people to play football.